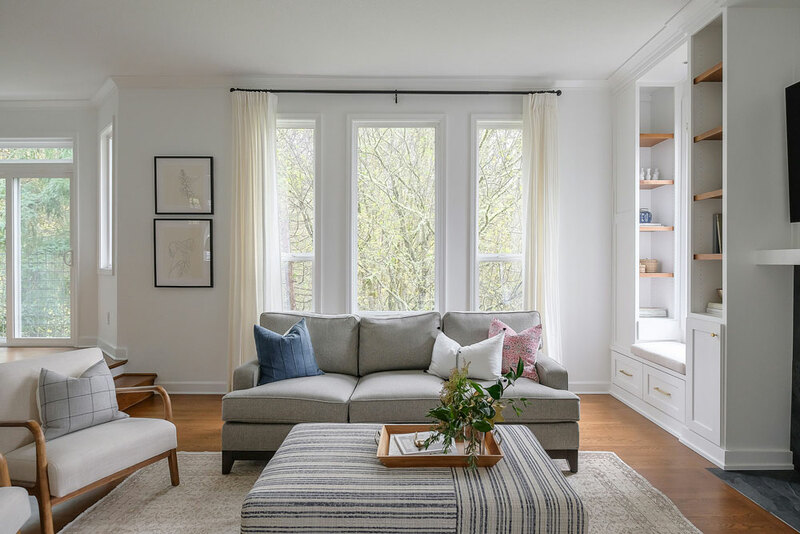 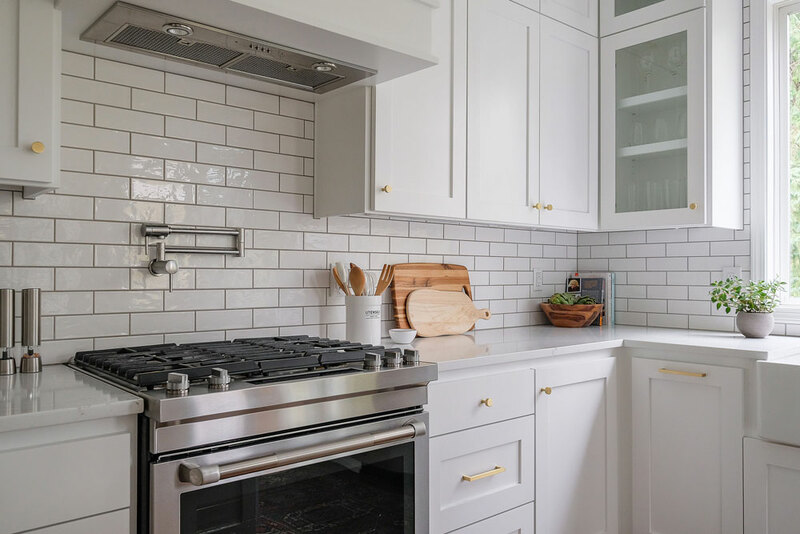 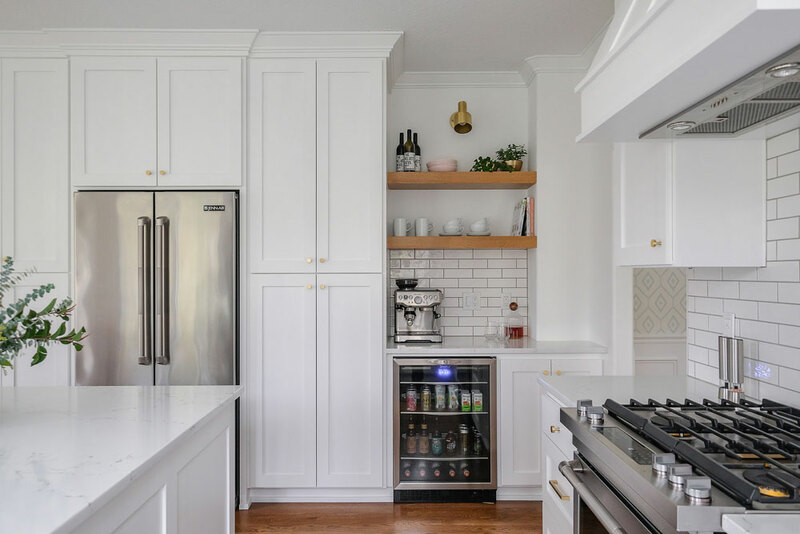 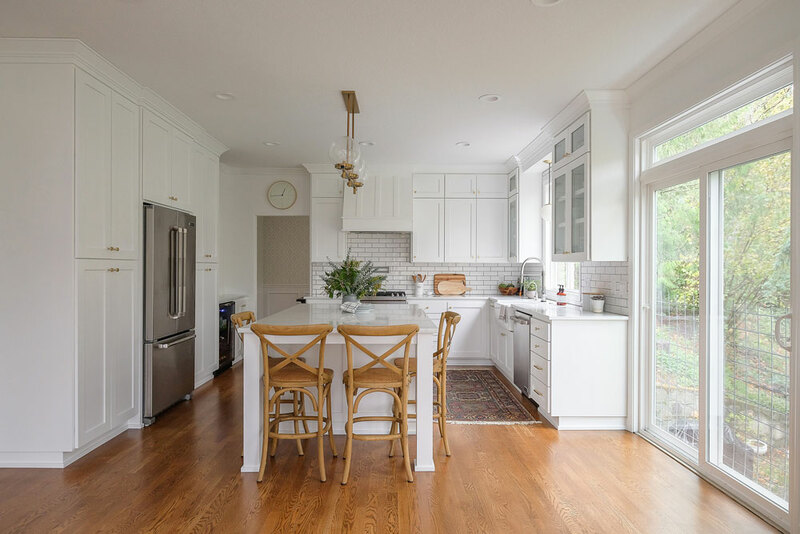 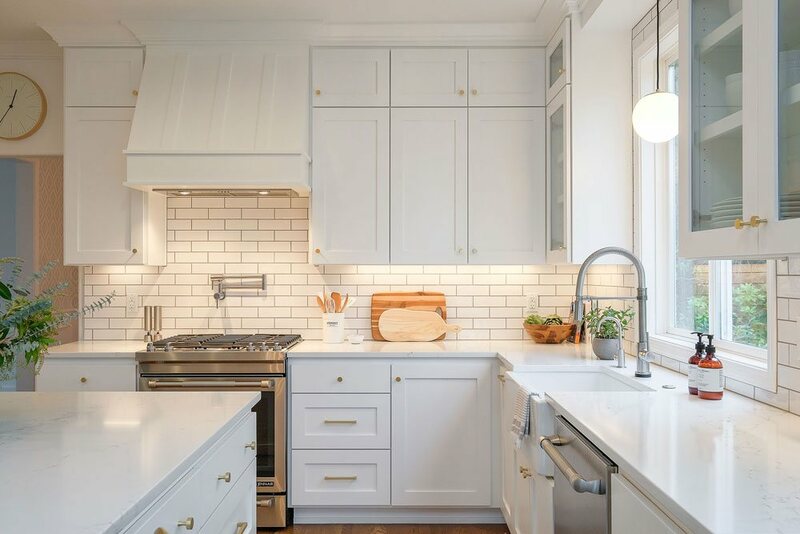 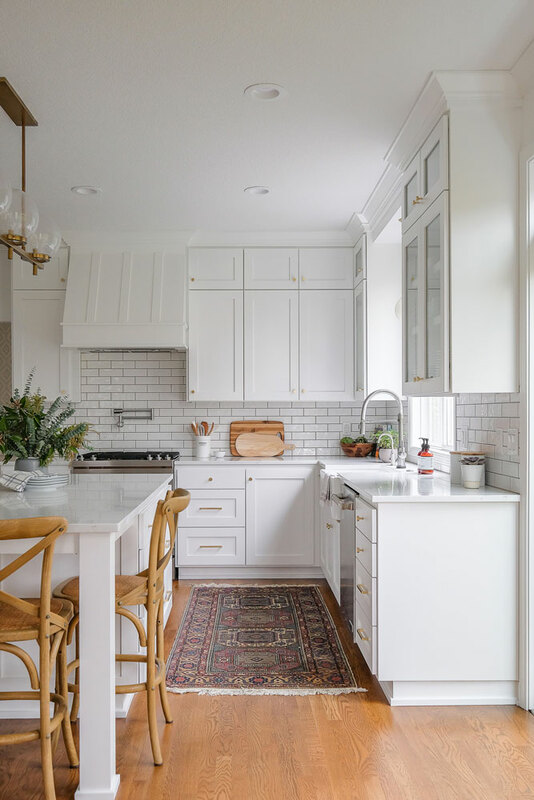 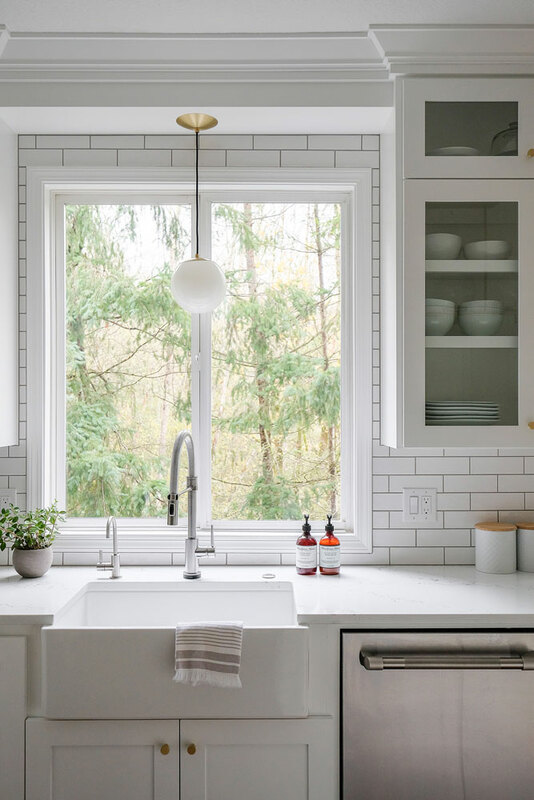 Thanks to this owner’s interior design skills, there are a lot of really cool design elements in this all white kitchen. 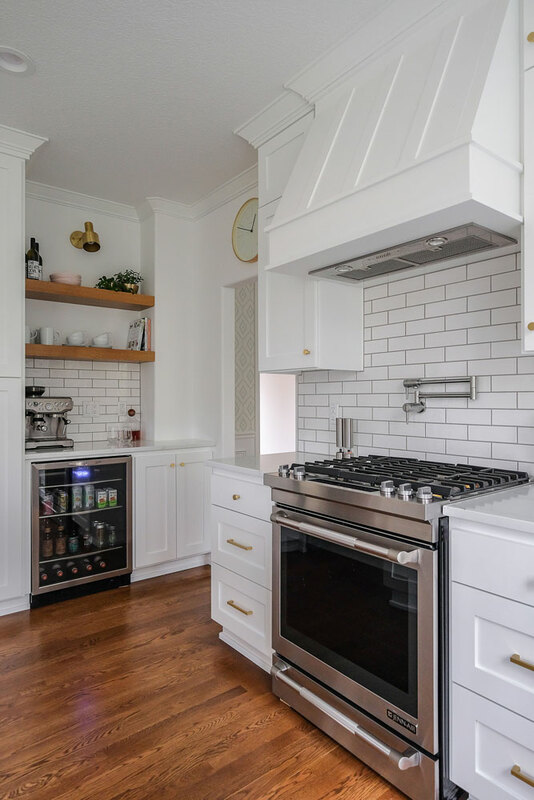 From the light over the island from Joss and Main to the built in exhaust fan this kitchen rocks! 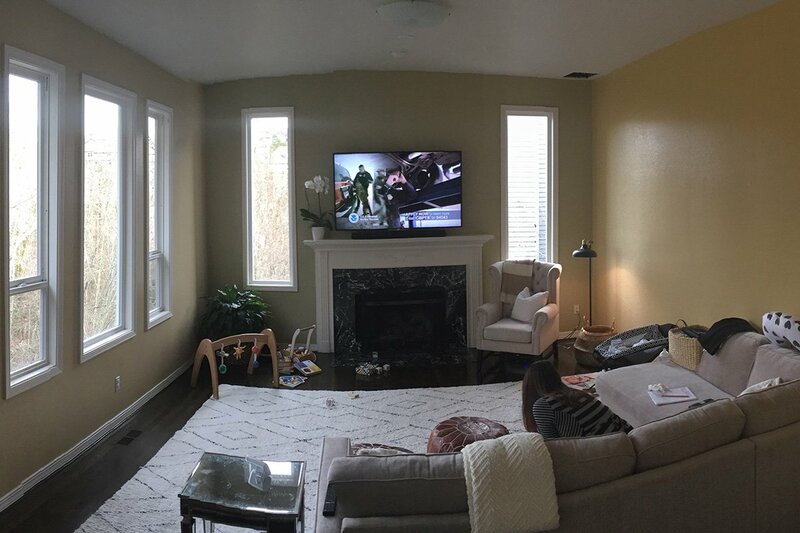 What did we do?? 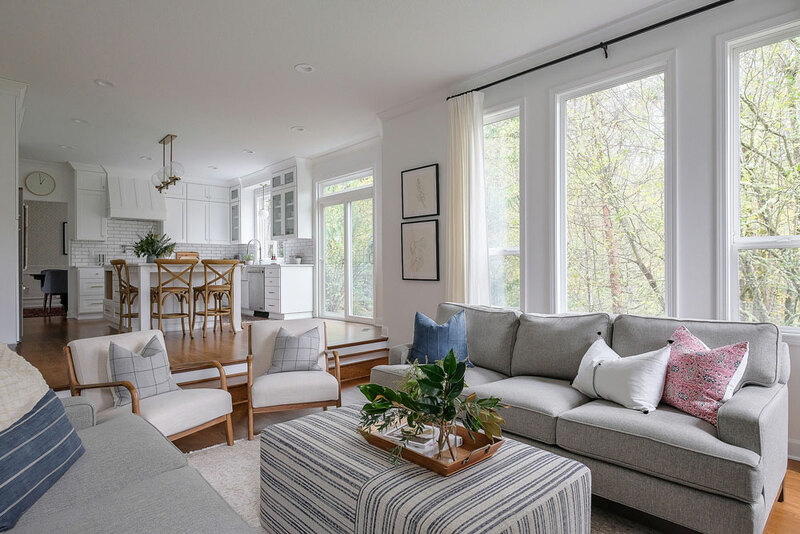 Listened to the home owners great ideas and brought them to life with our own. 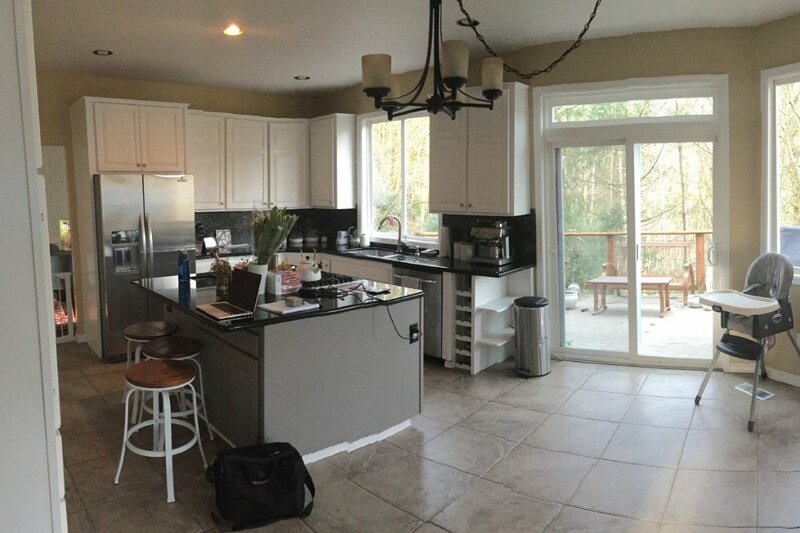 Check out the fun before and after sliders on this kitchen and the living room too!